As fandom sheds its longtime stigmas of geekiness and hysteria, fans are demanding more from the celebrities and brands they love. Digital tools have given all organizations?from traditional businesses to tech startups?direct, real-time access to their most devoted consumers, and it's easy to forget that this access flows both ways. This is the new 'fandom-based economy': a convergence of brand owner and brand consumer. Fan pressures hold more clout than ever before as they demand a say in shaping the future of the things they love. Sometimes it works. Sometimes it doesn't. 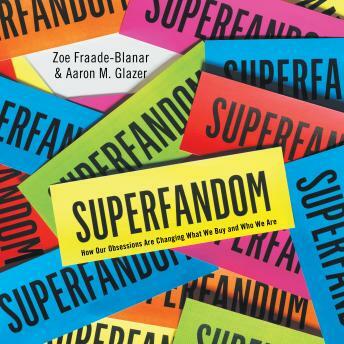 In Superfandom, Zoe Fraade-Blanar and Aaron Glazer explain this new era of symbiosis, delving into the history, sociology, and psychology of fandom. From Polaroid to Maker's Mark to groupies of financier Warren Buffett, the consumer relationship has been transformed. Superfandom is an essential guide for those who care, contribute to, and live in this rapidly expanding fandriven economy.